In this episode we have Julia Samel from London as our guest because she started an interesting discussion in Facebook. 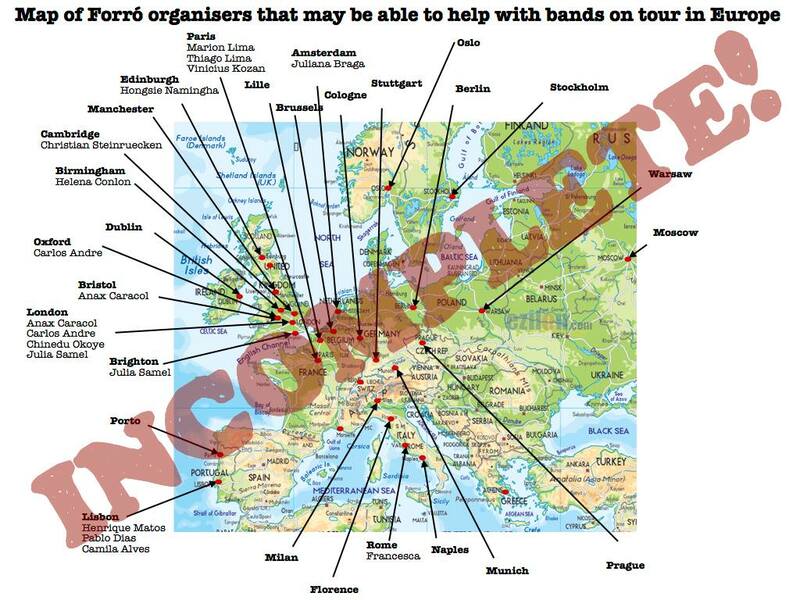 As she explains in her post bands from Brazil often ask her: “Can you help me organise my tour of Europe?”. She would really love to help these bands getting in touch with other organizers but faces some difficulties which we discuss in the show. In the end we talk about the new website of her project Forró Family and a questionaire about “relationships in Forró” she posted recently. Tune in! The facebook link of the discussion is broken. Could you update it? I ve set a link to the group where it was posted.